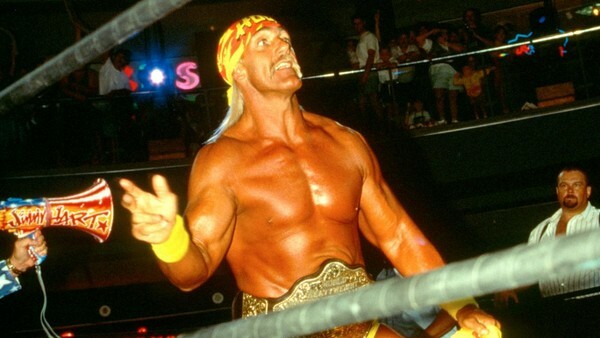 Hulk Hogan brought a lot of familiar faces with him when he made the leap to WCW in 1994. Jimmy Hart, Big Bubba Rogers (Big Boss Man), The Honky Tonk Man, Jim Duggan, The Nasty Boys and more all started popping up in the promotion, and most fans knew who they were from their time in the WWF. The same can't be said for some of the other goons running around B and C-level shows like Power Hour, Main Event, Saturday Night, Pro and WorldWide. Here, you'll meet firemen, phoney Japanese wrestlers, men posing as actual barricades, masked goofs and one of All Japan Women's biggest names you totally forgot worked in Atlanta. Not all of them were bad workers (no, seriously), but every single one of them became a footnote in WCW history. In the same decade they launched Nitro, loosened Vince McMahon's grip on the top of the industry in North America, created the nWo and promoted stars like Hogan, Sting, Randy Savage and Ric Flair, WCW were giving bookings to some you probably don't remember.